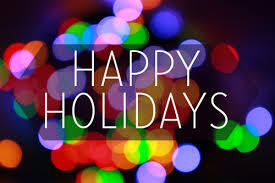 The holiday season brings out the joy in all of us and the memories created are almost never forgotten. As we prepare to spend these memorable days with family and friends, we at Holiday Inn Manhattan View would like to wish you all many merry days. 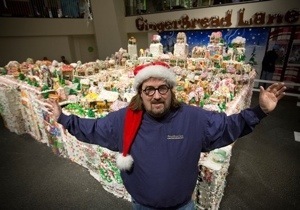 “GingerBread Lane” is a 1.5-ton, 300-square-foot village, currently on display at the New York Hall of Science in Flushing Meadows-Corona Park has been named the largest gingerbread village in the world by the 2014 Guinness World Records. The village consists of 160 houses made completely of edible gingerbread, royal icing and candy, was created by Jon Lovitch and has been on display since November. GingerBread Lane will be on display through January 12 from Tuesday through Friday from 9:30 am to 5 pm, and weekends from 10 am to 6 pm. The Queens Courier will be collecting toys and clothing to be donated this year to the Queens Centers for Progress’ Apple Preschool in Jamaica for their annual holiday gift drive. The Apple Preschool program offers children with disabilities between three to five years old a large variety of educational and therapeutic services, including speech, occupational and physical therapy and counseling. The Apple Preschool is asking for new, unused and unwrapped donations for their students, 31 girls and 52 boys between the ages of three and four. Donations can be dropped off at The Queens Courier’s office, located at 38-15 Bell Boulevard in Bayside or at People’s United Bank branches in Glendale and Long Island City. Book a stay with us at the Holiday Inn Manhattan View between December 19 – 25 and save 14%. Contact us for more information on this great promotion.